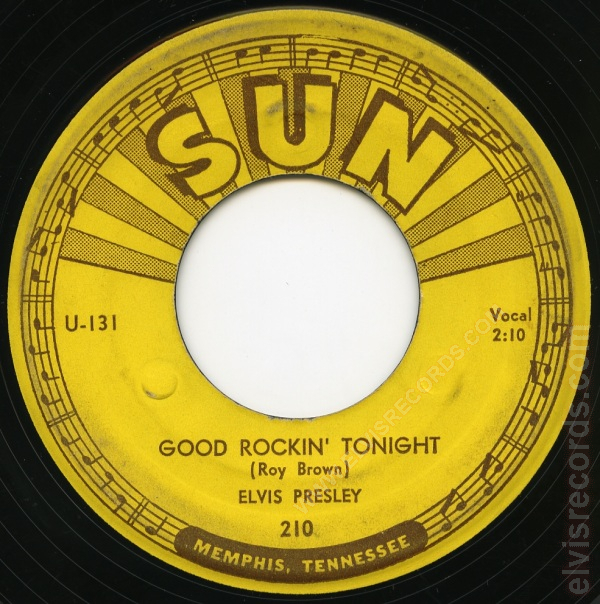 Sleeve: Originally issued in generic brown. 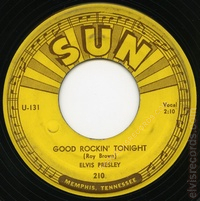 Released in 1954 by Sun Records on 78 RPM as Good Rockin' Tonight / I Don't Care if The Sun Don't Shine. 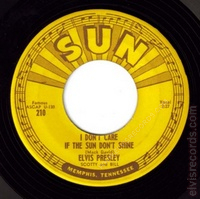 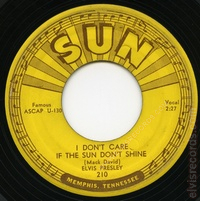 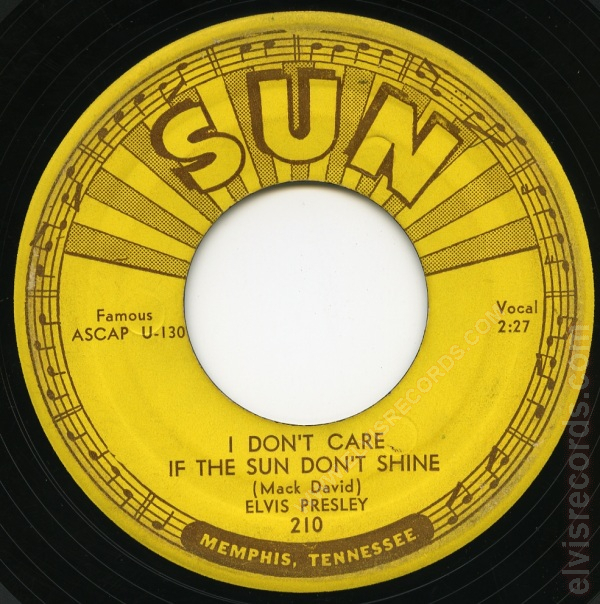 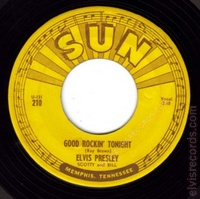 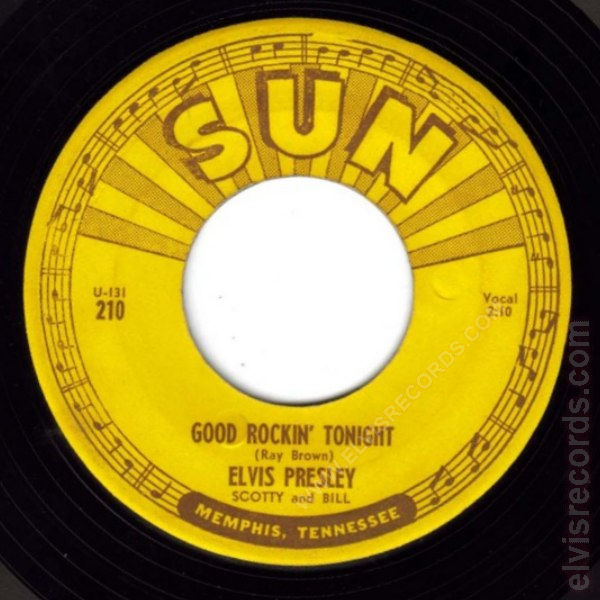 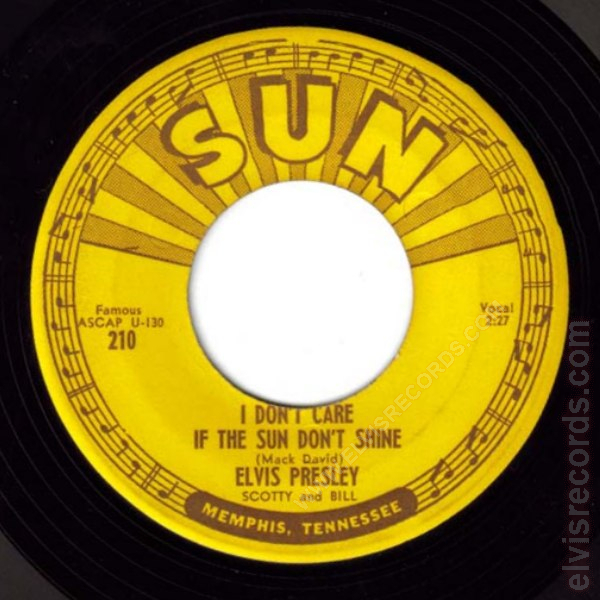 Released in 1955 by RCA Records on 45 RPM as Good Rockin' Tonight / I Don't Care if The Sun Don't Shine. 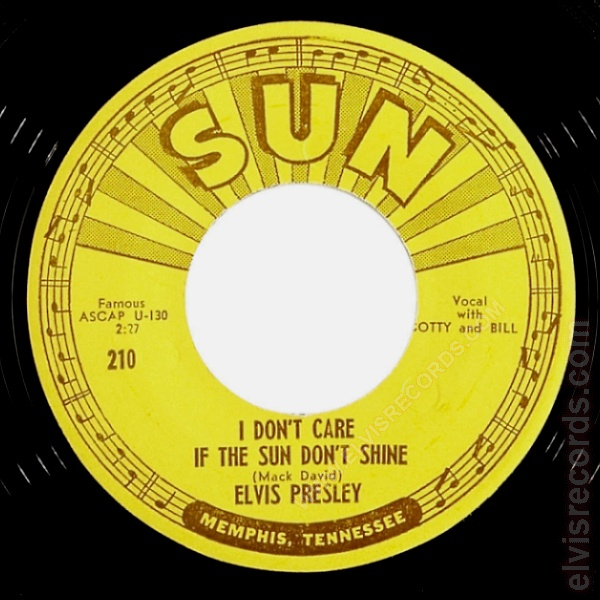 Released in 1955 by RCA Records on 78 RPM as Good Rockin' Tonight / I Don't Care if The Sun Don't Shine. 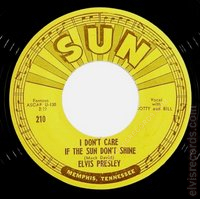 Released in 1959 by RCA Records on 45 RPM as Good Rockin' Tonight / I Don't Care if The Sun Don't Shine on the Gold Standard Series label.